We’ve been hearing a lot about how Samsung may be planning to launch multiple Galaxy Note 10 variants this year, one of which could be a smaller and less expensive Note 10e. Now there’s another update. Some of the headlines about it are a bit misleading because they point to only two models, but in reality, it sounds like a confirmation that there will indeed be four Galaxy Note 10 variants — and that two of the four will merely be 5G variants of the other two. Sources reportedly revealed the model numbers of the Galaxy Note 10 variants to SamMobile. The tech blog reports that the two base models will have them model numbers SM-N970 and SM-N975. The 5G variants of the two base models are said to have the model numbers SM-N971 and SM-N976. According to SamMobile, the two base models will have different screen sizes and specs, although the blog didn’t offer any details on other potential differences between the two Galaxy Note 10 variants. The tech blog said the four model numbers are proof of only two variants rather than four, as was previously reported by ETNews. However, we should point out that the previous source didn’t offer many details about the four models except to say that the smaller one could have a triple-lens camera while the larger model could have a quad-lens camera. ETNews also suggested that two of the variants could have LTE support, while the other two could support 5G. Based on that last tidbit, I posited that the four models could actually be two base models and 5G variants of each one, and SamMobile’s report seems to back up my theory. 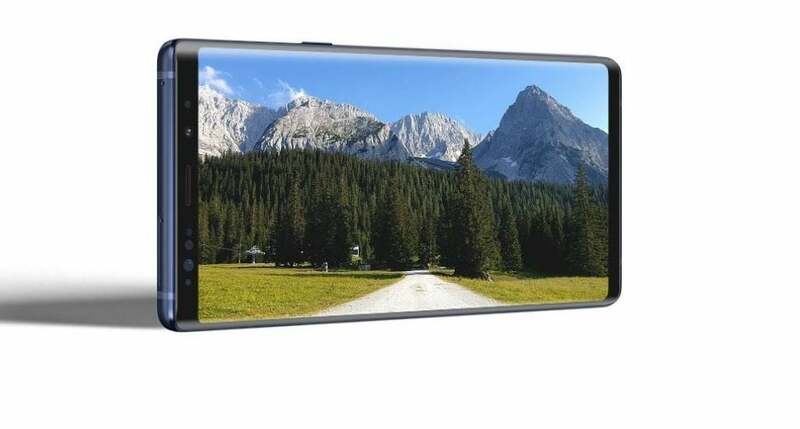 Reports from other sources have suggested that the two main Galaxy Note 10 variants will have 6.28-inch and 6.75-inch displays, although one or two others have suggested a 6.66-inch display. If those sizes are correct, then it would mean the larger model has a display that’s only a quarter-inch smaller than Samsung’s Galaxy Tab 7 tablet. The larger model is expected to have a quad-lens rear-facing camera, while the smaller variant could have a triple-lens camera. It’s unclear whether the battery capacities on the two models will be different, but it would make sense for the larger variant to have a bigger battery because more screen real estate uses up more power. We’ve also heard that Samsung could opt for a button-less design for the Note 10 that will depend entirely on gestures and touch. The company was said to be working with a Chinese vendor on pressure-sensitive capacitive sensors for the Note 10. However, it’s unclear just how serious Samsung might be about the button-less design. There would definitely be a learning curve to using it, and it’s possible that the button-less model was merely a prototype in testing with no plan to mass-produce it.